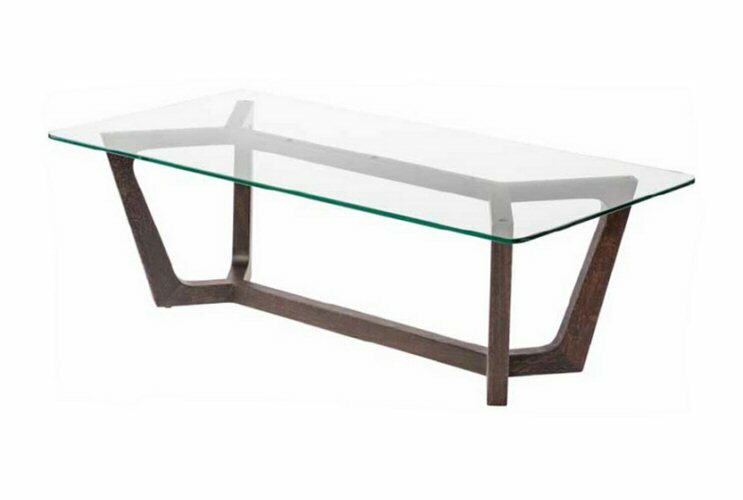 Nuevo Living Siku coffee table is notable for handsome, refined, stylized mid-century design. Crafted from solid French oak, the Sikus delicate inverted legs rise to support a traditionally seared tabletop. lines.